It seems like every day Got Free Ecards introduces a new, exciting feature to its website. The newest upgrade is the re-designed photo cards. Now, Got Free Ecards has given users the ability to upload their own photographs for a long time, but now there is an entirely new feature! You’re basically building your photo cards from the ground up. 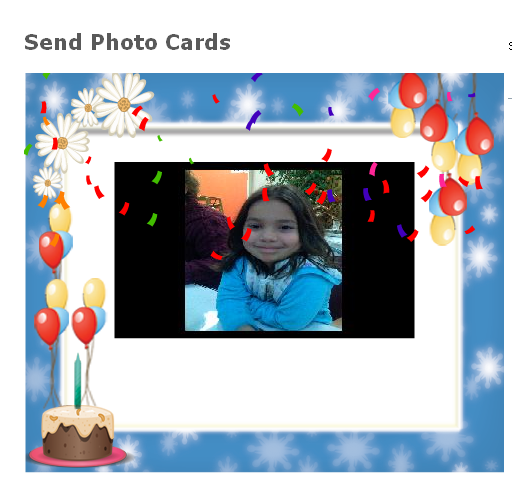 Step 1 Choose Frame and Effects: There are two tabs here to select from: “Frames” and “Effects.” Click on the “Frames” button, and choose your favorite border design for your photo. Then, do the same for “Effects,” to add a little animated flair to your card. Step 2 Upload Photo: In the “upload photos” box, click “browse” That button takes you into your computer’s hard drive, where you can scan around for the photo you want to use. When you find the right one, click it once, and then click the “open” button. Do you see your picture displayed on the webpage now? Good! Step 3 Select Music: Select the music track you require to match the frame. You can also not choose any music. The final step is to fill in the information boxes at the bottom of the page, so we know where to send the card. And for sure add your own personal message just for the recipient!